Stands 30” tall. 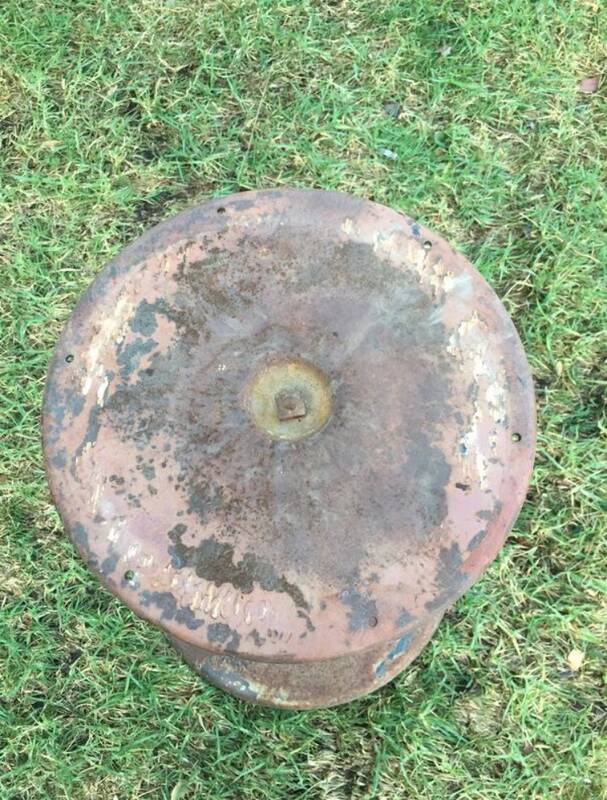 Top portion is 12” diameter and the base has a 24” diameter. Great project idea, create your own custom table using this base. 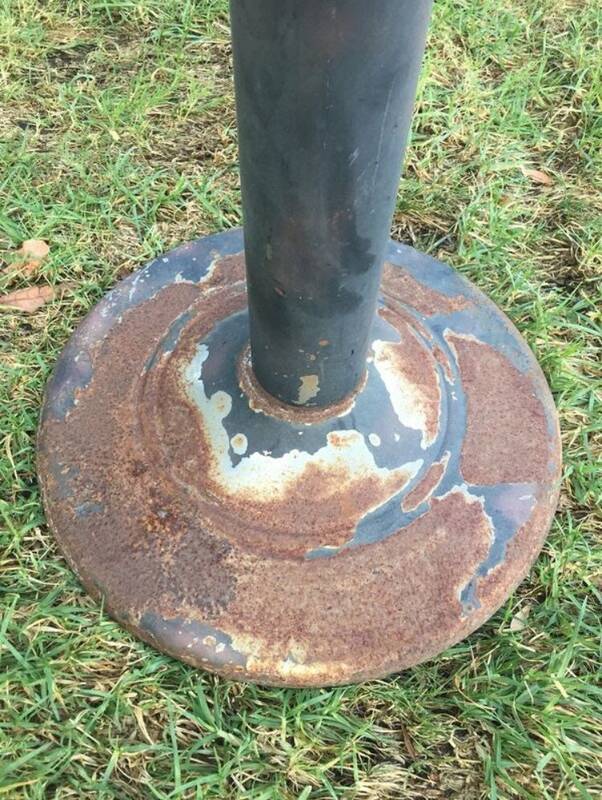 Solid metal, weighs 20 lbs or so. Wear consistent with age. Nice wear. 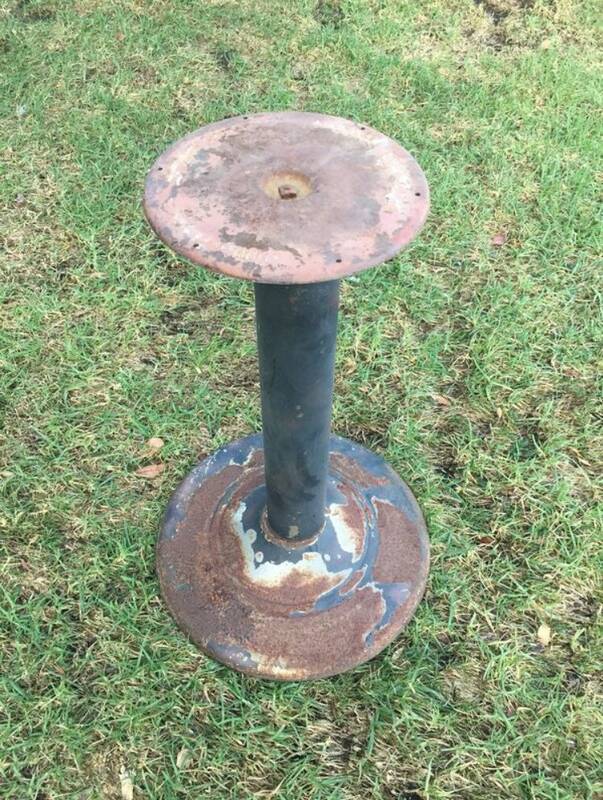 Great table base to use in an industrial setting.